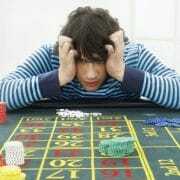 Baccarat is a game of chance with simple game play and involves very little skill on the player’s behalf. It became famous as James Bond’s game of choice in the books by Ian Flemming. Traditionally there are 14 seats at the baccarat table, numbered 1 to 15, with number 13 being excluded to avoid bad luck. There are 3 dealers for each table, two of whom deal with payouts and the third, known as the croupier or caller who stands in the middle making the calls on each hand as they are dealt. Baccarat is usually played with either 6 or 8 packs of cards and the name of the game is derived from the Italian word ‘baccara’, which means ‘zero’, which refers to the zero value given to all of the face cards and tens – Cards ace to nine retain their value, but tens and picture cards have no value. If two cards have a combined value of more than 10, then 10 must be subtracted leaving the remaining total as the card value eg: a hand of 8 and 7 does not equal 15, but 5. The cards are placed in a box called the shoe which is in the charge of the dealer, but each player has to bet the Bank when holding the shoe, although it may be declined and passed along to the next player. The game of Baccarat is so simple because all the player has to do is decide what type and amount to bet. Winning bets on the player are paid 1:1, winning bets on the banker pay 1:1 less a 5% commission and winning bets on a tie usually pay 8:1. Once the cards have been dealt, the dealer takes over and announces the winner. 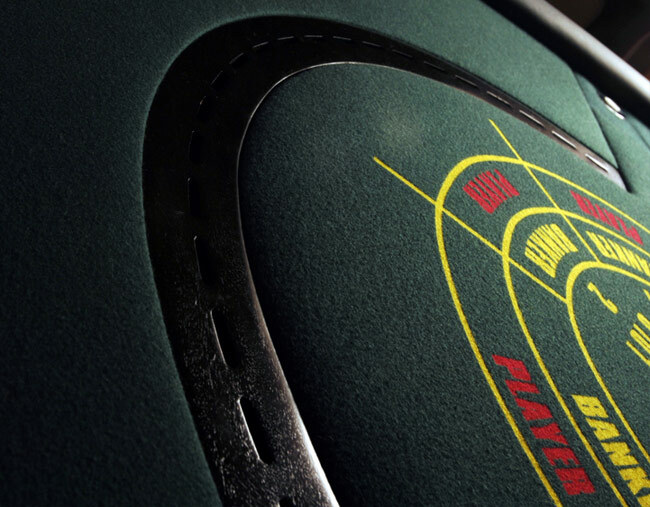 There are three variants of the game: Punto Banco, Baccarat banque and Baccarat Chemin de Fer. Punto Banco – the cards are dealt, to the Player and then to the Banker. Each gets two cards, the value of which are added together, and the Croupier calls the total. The table of play is then used to decide on whether more cards need to be drawn. However, if the Banker and Player have the same hand total at the end of the deal, the croupier states ‘tie bets win’. Baccarat banque – Three decks of cards are used in this version of the game, and the Banker remains the Banker until all the cards have been dealt, unless he loses or retires (he can retire at any point but has to state the amount with which he is retiring). Baccarat Chemin de Fer – in this game 6 decks of cards are used in play. In the centre of the table there is a shoe where used cards are put. The cards are shuffled by the Croupier and taking some cards from the top of the shoe, he hands them to the player to his immediate right, who is then ‘Banker’, while the others are players. Any of the players can call ‘Banco’, which means that they want to play against the Bankers stake. The Banker deals two cards for himself, and two for the player – if the Bankers cards are better, he wins the players stakes and deals again. However, if the players are better, the banker has to pay each player the amount of his stake and the next player becomes Banker.